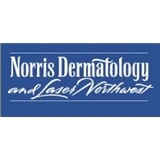 Norris Dermatology and Laser NW (Portland) - Book Appointment Online! In todays world, finding a Doctor that is also a human is a real treat. After all, she is a Doctor's Doctor for a good reason. Otherwise, why would a Doctor who I trusted and believed in for close to 50 years, recommend Doctor Norris. Fantastic Doctor.